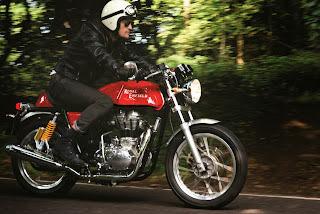 This is the Royal Enfield Continental GT, a £5,200 cafe racer with a British name but that's made in India. Royal Enfield is the world's longest motorcycle company in continuous production. It was established in 1893 as a manufacturer of bicycles and launched its first motorcycle in 1901. During the First World War Royal Enfield sold motorcycles to the British War Department, and the Russian Government. The model range continued to grow, and then the Second World War broke out and the company was called upon to supply motorcycles to the British Army. During WW2 the Redditch factory was at risk of being bombed so an underground factory was built in Wiltshire. Post war Royal Enfield motorcycles were largely based on the military models. The company set up operations in India in 1949 and tried making the move to America, with the new Interceptor model. Demand in the US was high but the company could not supply enough bikes. When Royal Enfield UK went under in 1970 200 Interceptor engines were stuck at a dock. Frames were found and these were eventually sold as a limited run in the US. Meanwhile Royal Enfield India had continued to produce and sell bikes. In 1955 the Indian government ordered 800 350cc Royal Enfield Bullets, where they have remained in production to the present day. New models are few and far between, although there was a push in the 2000s and a number of new engines were produced to comply with modern emissions regulations. So we come to the Continental GT. It's powered by a 535cc single cylinder engine and will be available in the UK from October 2013. It's styled as a classic cafe racer and is the lightest, fastest Royal Enfield in production, although that's not saying a great deal. It weighs 180kg and has 29bhp. 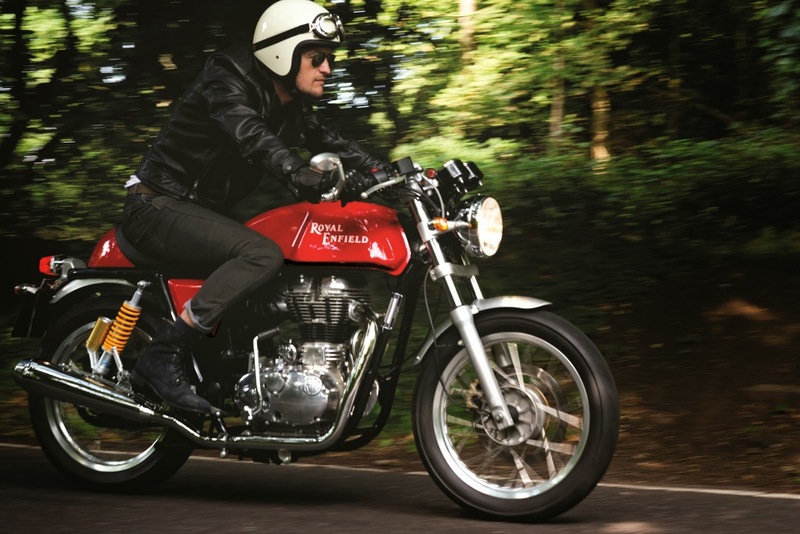 It might look ancient but the Continental GT is a brand new motorcycle. Legendary frame-maker Harris Performance designed the chassis and it's got quality components such as Brembo brakes and Pirelli Sport Demon tyres. 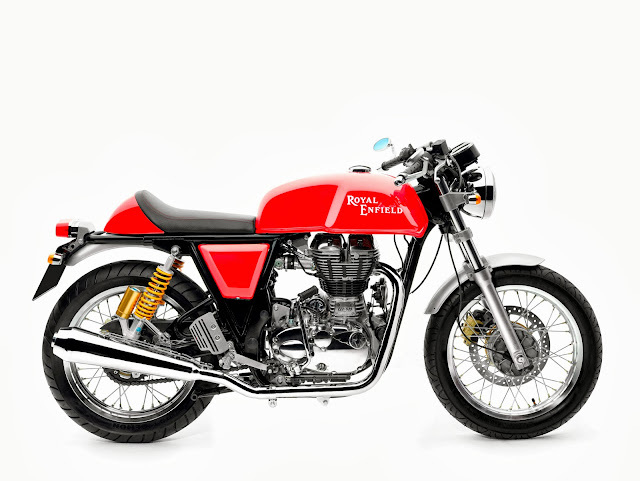 Royal Enfield plans more new models. Its new factory near Madras is currently tooled to produce 175,000 bikes in 2013, and 250,000 in 2014, with an eventual target of 500,000 units per year. This isn't some flight of fancy - demand has been strong and they've seen a 50% increase in sales each year for the past 3 years. It's just a pity the Continental GT doesn't come with pin striping. Check out this chap's painting skills.